Students in the Babson College One-Year MBA program at the F.W. Olin Graduate School of Business must have completed an undergraduate degree in business or economics, or have completed prerequisite business courses. Candidates with extensive relevant work experience and quantitative skills may also be considered for admission into this 12-month program, which places students in classes with second-year MBA students in the two-year MBA program each fall. Students begin the program in May. The core curriculum consists of three modules. The first two modules are based on 10 academic streams and focus on entrepreneurship strategy, leadership and decision-making. Students also participate in a Signature Learning Experiences dealing with the integration of business strategy and corporate social responsibility between each module. A three-credit capstone course is also required. After the three modules, students are required to complete 27 credits worth of elective courses. 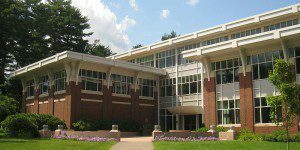 Babson College One-Year MBA students may also pursue a concentration, each of which comprises 9-12 elective credits in a particular area of study. There are five available concentrations including business analytics, entrepreneurship, finance, global management and marketing. There are 39 students enrolled in Babson’s One-Year MBA, 36 percent of which identified as women. Roughly 67 percent of the class was international. Students entered in the One-Year program with an average GMAT score of 599, a GPA of 3.24 and 5.8 of professional work experience. About 82 percent of the Class of 2017 were employed within three months of graduation from the Babson College full-time MBA program. The average base salary posted by 2017 graduates was $84,000. The top industries for graduates were financial services and technology at 20 percent each, consumer products and retail 14 percent, manufacturing at 11 percent, and real estate at 10 percent. For 2018-19, tuition for the Babson College One-Year MBA program is $82,496. Housing costs average $17,352 per student while food expenses average $7,711, books and supplies average $2,940, transportation expenses average $2,581, and personal expenses at $3,534. Students who take nine or more credit hours are required by Massachusetts law to have health insurance. Babson contracts with University Health Plans to provide coverage through Blue Cross Blue Shield. The cost for the 2018-19 academic year is $3,110. Including any Federal Direct loan fees, which average $436, the total estimated cost of the One-Year MBA program is $120,160. Payments are due before the start of each semester. Merit scholarships are available to the most highly qualified full-time students. Otherwise, Babson does not operate its own loan program and encourages U.S. applicants to apply for federal loans by filling out the Free Application for Federal Student Aid (FAFSA). In addition to an online form, applicants should submit their official academic transcripts, a $100 application fee, two letters of reference, a current résumé, GMAT or GRE scores, two essays and, in the case of international candidates whose native language is not English, TOEFL iBT or IELTS test scores. Interviews are by invitation only.